Rolly Perry Hinshaw1,2,4,5,6,7 [Rolland P. Hinshaw8]. Hinshaw, Rolly, boarder, age 23, born in Kansas; father born in Indiana; mother born in Ohio; single; occupation: barber, own shop. Hinshaw, Rolly P, head-of-household, age 33, born in Kansas; parents born in Indiana; rented home; occupation: chiropractor, doctor's office. 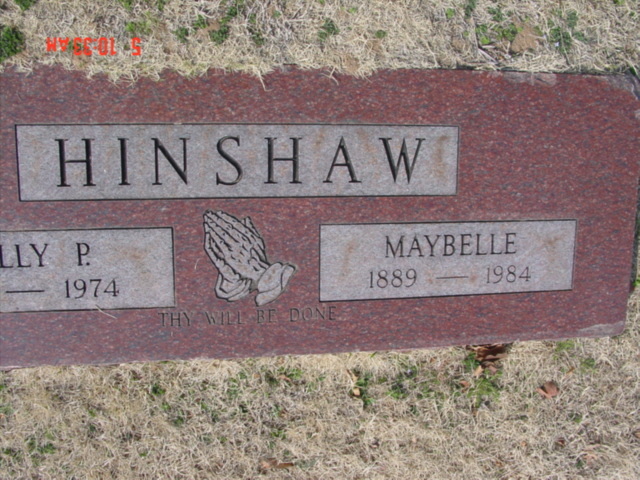 Hinshaw, Maybelle, wife, age 31, born in Kansas; father born in Missouri; mother born in Pennsylvania. 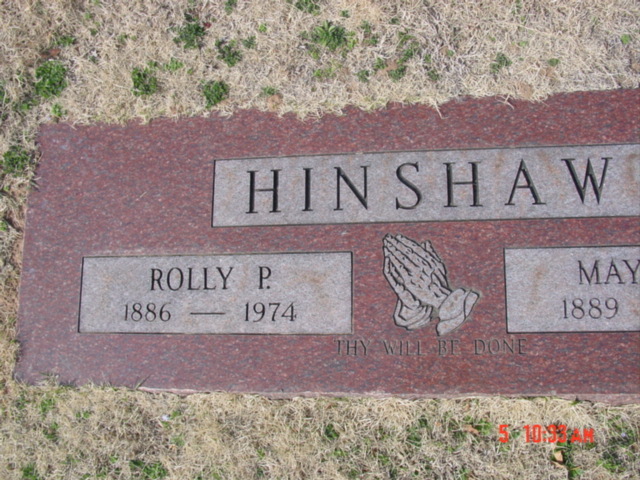 Hinshaw, Rolly P, head-of-household, age 43, born in Kansas; parents born in Indiana; first married at age 32; rented home ($45 rent); no radio in home; occupation: chiropractor, own office; World War I veteran. Hinshaw, Maybelle L., wife, age 41, born in Kansas; father born in Missouri; mother born in Pennsylvania; first married at age 30. Hinshaw, Rolland P., son, age 7, born in Oklahoma; parents born in Kansas; attended school. Hinshaw, Charles F., son, age 1 [unclear], born in Oklahoma; parents born in Kansas; attended school [sic]. Davis, Jessie M., maid, age 14, born in Oklahoma; parents born in United States. Swan, Lindsey D., roomer, age 32, born in Arizona; parents born in Indiana; first married at age 31; occupation: welder; World War I veteran. Swan, Joyce M., roomer, age 18, born in Oklahoma; parents born in Missouri; first married at age 17. Zimm, Dorothy J., roomer, age 23, born in Indian Territory; father born in Kansas; mother born in Iowa; married, first married at age 18; occupation: cashier, drug store. Hinshaw, Rolly P, head-of-household, age 53, born in Kansas; completed 2 years of college; on Apr 1 1935 was living in the same place/area; owned home ($1000 value); occupation: chiropractor doctor, private practice. Hinshaw, Maybelle, wife, age 51, born in Kansas; completed 4 years of high school; on Apr 1 1935 was living in the same place/area. Hinshaw, Rolland, son, age 17, born in Oklahoma; completed 3 years of high school; on Apr 1 1935 was living in the same place/area; attended school. Hinshaw, Charles, son, age 11, born in Oklahoma; completed 4th grade; on Apr 1 1935 was living in the same place/area; attended school. 1910 census, House Creek Township, Pawnee County, Oklahoma; roll T624-1268, ED 175, page 108B. 1920 census, Hominy, Osage County, Oklahoma; roll T625-1479, ED 95, page 24A, line #31, dwelling #27, family #30. 1900 census, McElroy Township, Pawnee County, Oklahoma; roll T623-1341, ED 177, page 28A, line #31, dwelling #579, family #590.
which was in the possession of Howard Ira Hinshaw, Jr. when he died.